The Tallahassee Rifle and Pistol Club is all about promoting the safe and fun use of guns. Simply put, we like to shoot! Whether it is pistols, rifles, or shotguns, SAFETY is our REAL target. TRPC has so much more to offer than just some dirt berms and wooden target frames. 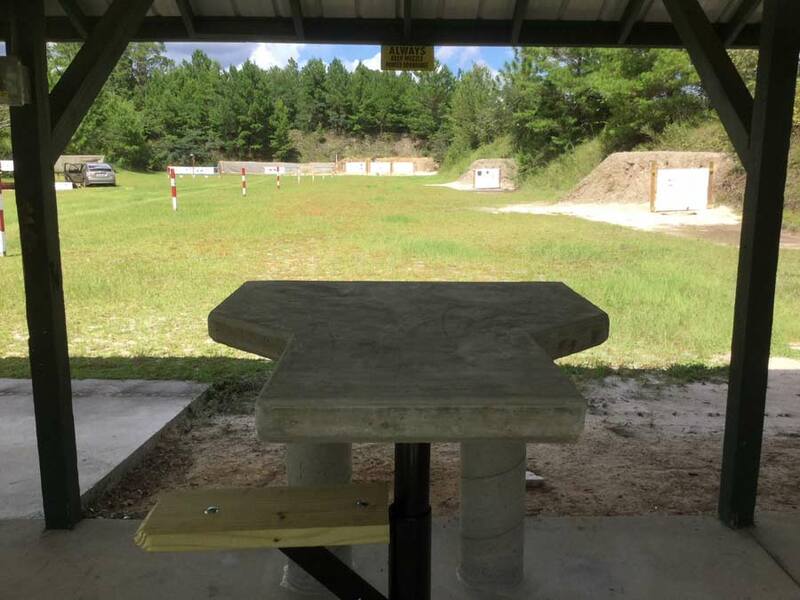 The Tallahassee Rifle and Pistol Club has 40 acres for shooters to enjoy. Matches are a great way to hone and test your Shooting skills. There are matches for all skill levels. Best of all, matches are open to non-members. Teaching the love & respect of guns is the most important legacy that we can hand down. TRPC’s youth program is the Crown Jewel of our club. 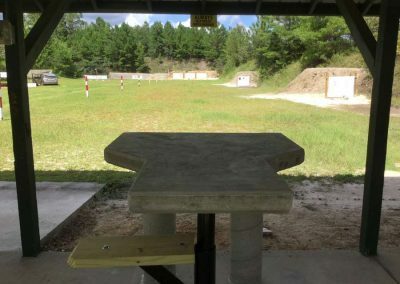 TRPC is a private 40-acre locked-gate shooting facility located in Leon County, south of Tallahassee near Woodville, Florida. 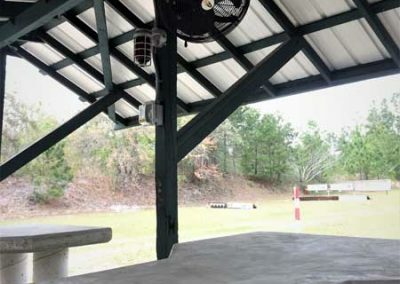 The facility consists of three pistol ranges, a rim-fire range, a high power rifle range with 100-yard, 200-yard and 300-yard target stands, and a trap range. Safety is the REAL Target at TRPC! We strive to provide a safe, family friendly environment for our members and their guests. 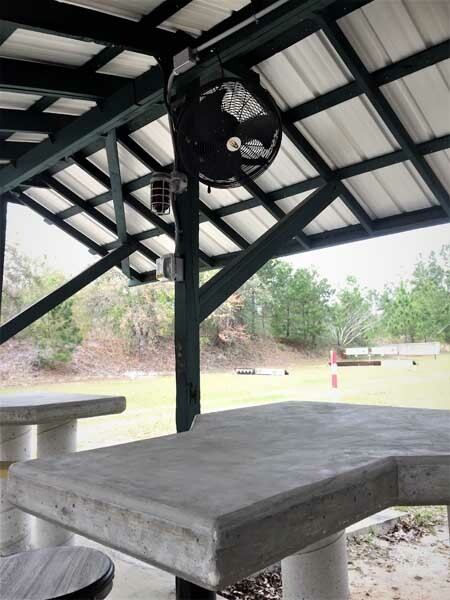 The directors, officers and members at TRPC take this responsibility very seriously and ask that everyone who uses our facility be familiar with all the safety rules or on the marquis at the front gate of the range. Everybody is welcome to attend our events. 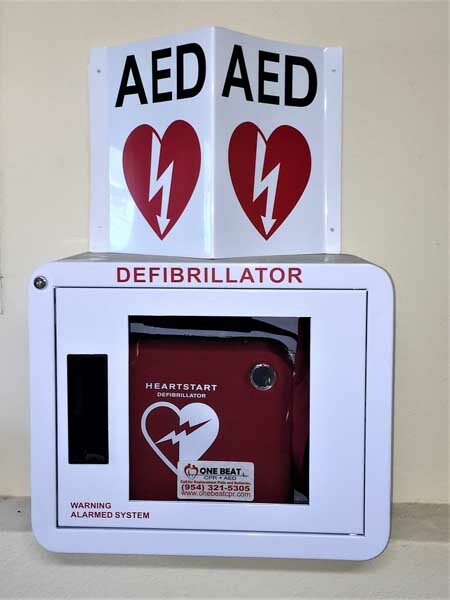 We want to show our emphasis on safety to the public. See our Events and learn more on our Frequently Asked Questions page. Safety is the REAL Target at TRPC! We strive to provide a safe, family friendly environment for our members and guests. 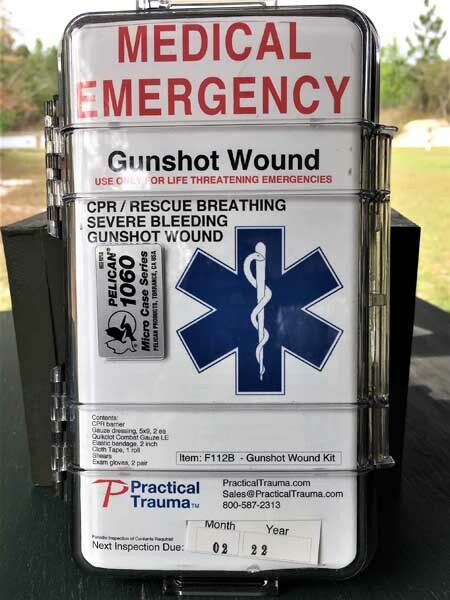 The directors, officers and members at TRPC take this responsibility very seriously and ask that everyone who uses our facility be familiar with all the safety rules on the marquis at the front gate of the range. 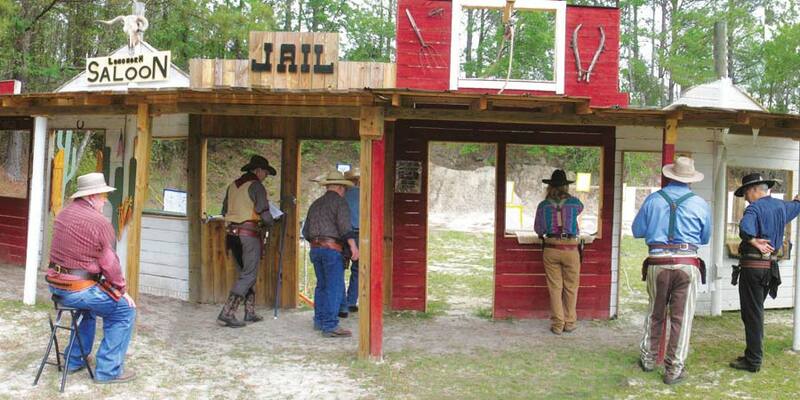 TRPC has the convenience & comforts of home at the range. TRPC has an electronic keypad controlled gate for easy access to the range when you arrive and depart. No need to get out of your car and unlock a manual gate or check in every time you go to the range. 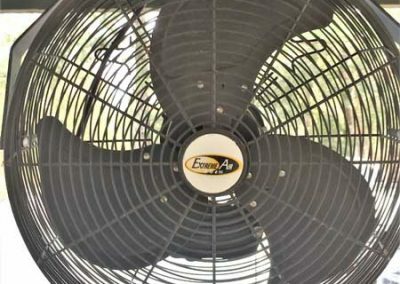 Stay COOL during the summer by turning on the high velocity fans at each shooting station. 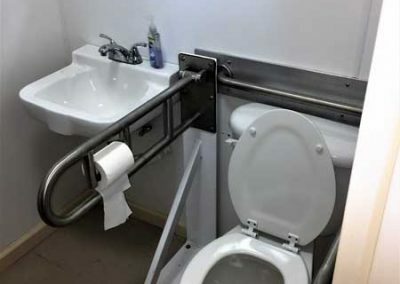 TRPC now has handicapped air conditioned bathrooms that are accessible by wheelchair to 3 ranges. 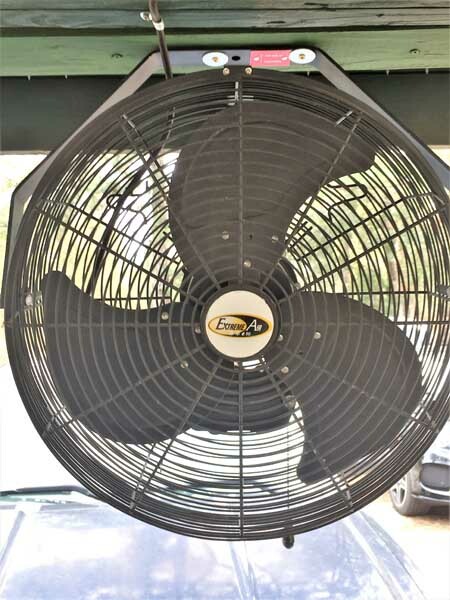 Our small 1 room clubhouse is air conditioned for your comfort, convenience and safety should you need to COOL off during the HOT Florida summer or for your spouse to enjoy a good book while you get in some trigger time. TRPC has lots of FUN stuff to shoot. Shooting paper is fine for sighting in your deer rifle, but it isn’t very exciting. 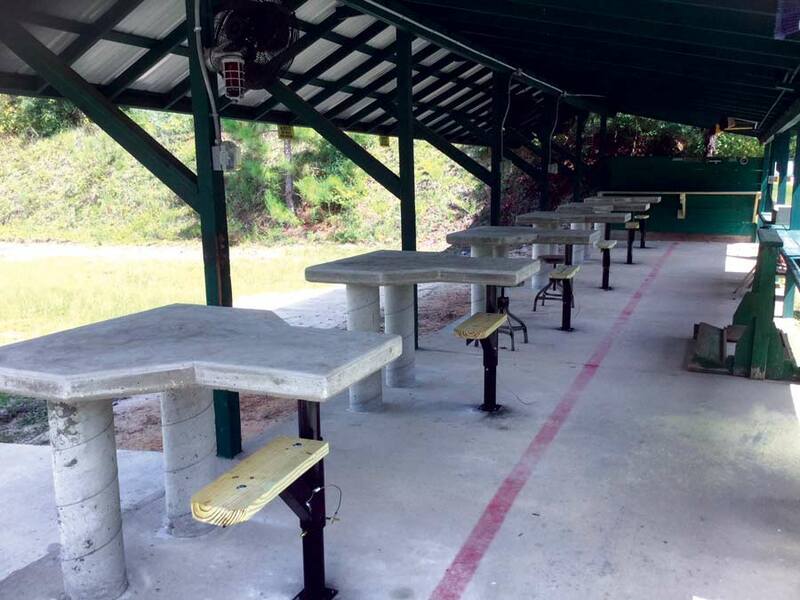 Here at TRPC we have lots of reactive steel targets for your shooting enjoyment. There is a Texas Star, Dueling Tree, steel plate rack, arcade and some gongs. Lots of FUN to be had, come join us for some FUN! 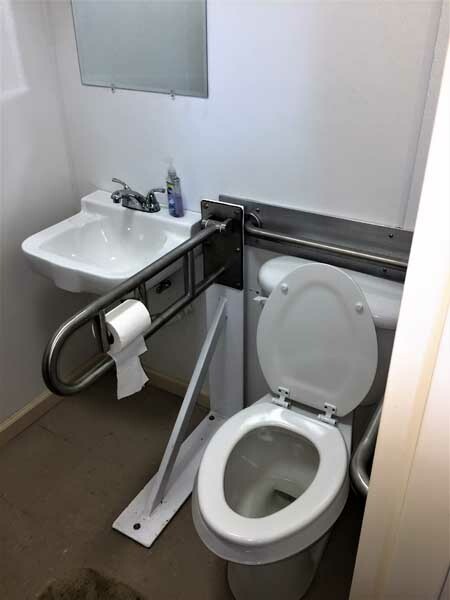 SAFETY is always a priority at TRPC! 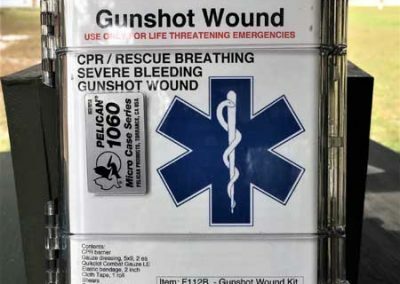 That’s why we have 4 gun shot trauma kits & 2 AED’s on site, one at the trap range and one at the clubhouse. Fire extinguishers are also located on the ranges. 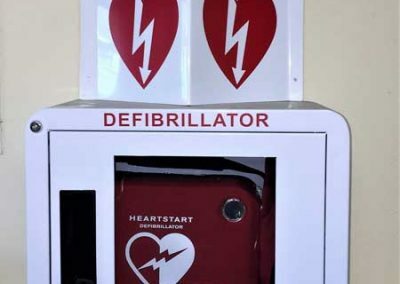 Have a piece of mind while at the range knowing that emergency medical equipment is handy should you or another member need medical assistance. Your facilities are outstanding and it shows that your members work hard to keep in top shape! We are proud to help sponsor TRPC’s youth program and are life members. Participated in a Scout and Civil Air Patrol event at TRPC and had a great time. Carl, Steve and all the volunteers are just awesome and so safety focused! Kids could not have had a better time. Definitely a 5/5 on trip advisor!